I wasn’t really sure when I set my goal for the month that I’d be able to finish it. I’m beyond thrilled to say I made it! We will be leaving this weekend for a week long trip to my father-in-laws – which is why I didn’t think I’d make this goal. 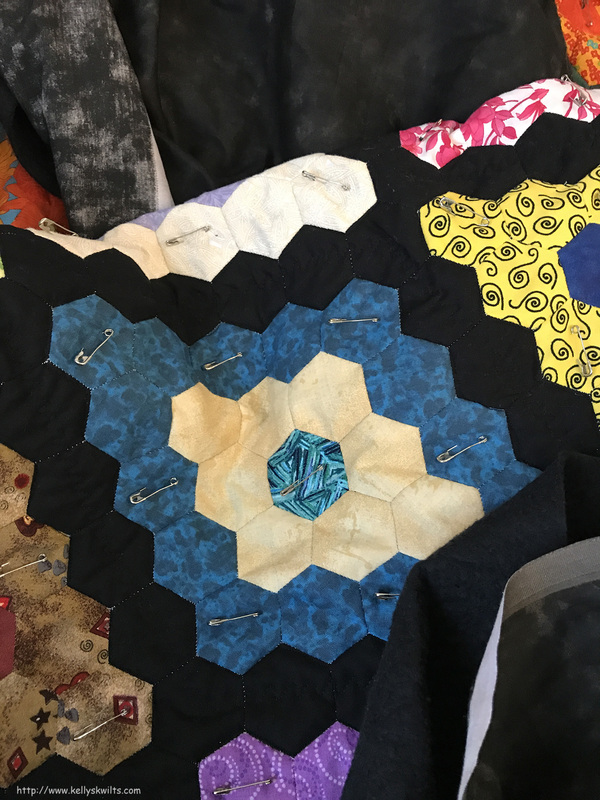 Now the hard part, I think I know how I want to quilt the diamonds but I don’t know what color to use for the quilting. Gray, black, clear, smoke? Luckily it will wait for when we get back from vacation. 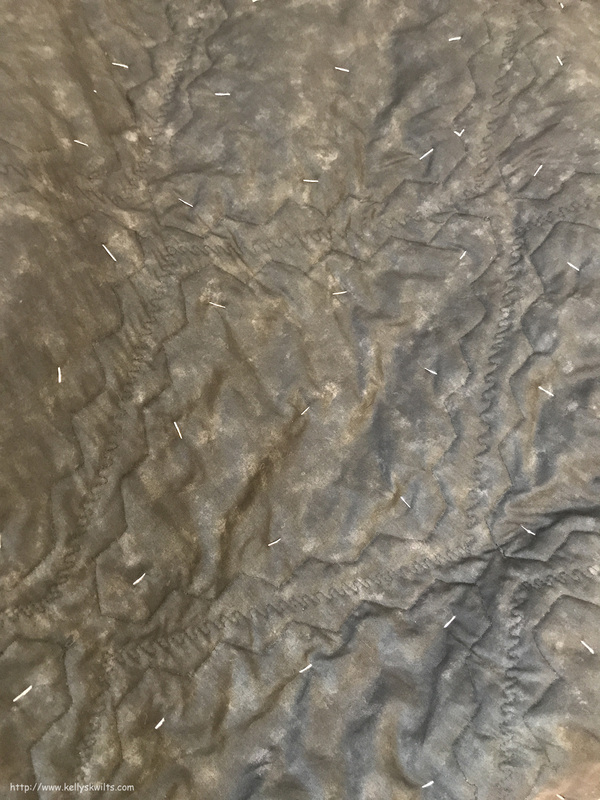 I’m hoping I’ll have a decision made by then and I can get to work finishing the quilting – I want this quilt on my bed by the end of June!!! Linking up to Elm Street Quilts, NTT and Crazy Mom Quilts. Nice hexies. Thanks for linking up with Elm Street Quilts One Monthly Goal and congrats on your finish. Congrats on finishing up your OMG goal. Enjoy your vacation! Good job on getting your quilt top done. Will quilting and binding it be your June OMG?